Welcome to Amarnath Yatra tour! 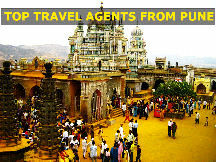 You will be greeted by Namaste India Trip representative on arrival. Board the Coach 09:00 PM and drive to Amritsar. Overnight Journey. Morning arrival at Amritsar, check into hotel. 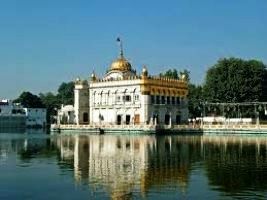 After fresh up and breakfast proceed for full day city tour with the blessings of Golden Temple-the most important sikh shrine which is also called Mecca for the Sikhs is a living symbol of the spiritual and historical traditions of the Sikhs. Then visit JallianwalaBagh- where, on April 13, 1919, British and Gurkha soldiers opened fire on an unarmed forbidden gathering, killing hundreds of civilians. Evening visit Indo-Pak Wagah Border to watch Flag Retreat Ceremony. Atari Wagahan army outpost on Indo-Pak border 30 Kms from Amritsar which is famous for daily evening beating the Retreat ceremony. Soldiers from both countries march in perfect drill, going through the steps of bringing down their respective national flags. As the sun goes down, nationalistic fervor rises and lights are switched on marking the end of the day amidst thunderous applause. Dinner & overnight stay at the hotel. 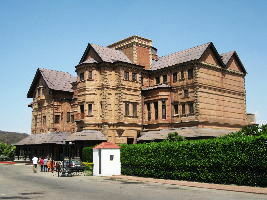 Morning after breakfast transfer to Jammu & Visit Famous Raghunath Temple, later drive to Katra for overnight stay. 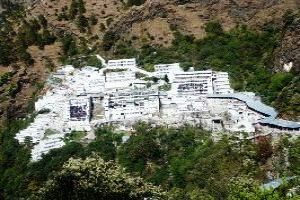 Early morning transfer to Banganga for trek route trek starts from here to Mata Vaishno Devi shrine 12 kms, Start to ascend on trek route either by walk or pony/doli at own cost. 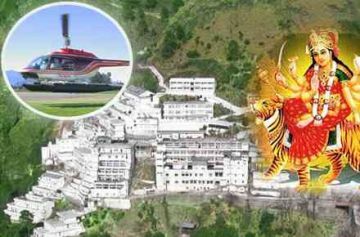 Helicopter service is also available for Sanjhichhat, so one can take helicopter to Sanjhichhatat own cost. AfterDarshan return back to Katra, overnight stay at hotel. Morning after breakfast transfer to Sonmarg, Known as the 'Meadow of Gold', Sonmarg is set amidst a valley of flowers and lakes. The word “Son” literally means “Gold” in Hindi, and this golden beauty covered with white snow is most attractive in the spring. The exotic flora of the region is nurtured by the Sindh river. Sonmarg is the gateway to Ladakh & serves as start point for Yatra to Amaranth, The dense forests of Sonmarg comprise of sycamore and alpine flowers, silver birch, fir and pine. 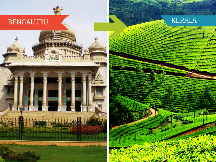 The place is frequently visited by nature lovers in the search of tranquil peace and soothing natural beauty. The enchanting beauty of the towering snow clad mountains is a real treat to the eyes. Overnight stay at hotel. Morning proceed on a short drive to Neelgarth Helipad, on arrival board helicopter to Panjtarni Helicopter Services is subject to weather conditions. 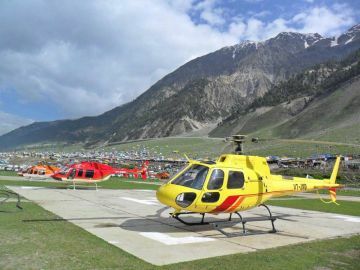 Helicopter operates till Panjtarni, It is about 6kms from Panjtarni to holy cave. You can reach to the cave by pony/palki at own costor by walk. After Darshan return to Helipad in time to take Helicopter ride to Neelgarth. From Neelgarth drive back to Sonmarg, Overnight in Sonmarg. In case of late, you can stay in Panctarni at own costtented accommodation available Note:- Helicopter ticket booking may be for the same day or next day return depends on Seats availability. Morning free for leisure later drive back to Srinagar visit Kheerbhavani Temple, Sarada Temple, Mughal Gardens, NishatBagh, Dinner & overnight stay at hotel. After breakfast drive to Gulmarg, also known as the 'Meadow of Flowers'. Enjoy a fun-filled pony ride and gondola rides on direct payment, Gulmarg is primarily famous for its golf course with 18 holes and has one of the best ski slopes in the world, later drive back to Srinagar. 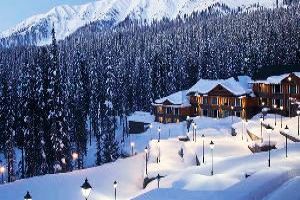 Dinner & overnight stay at Gulmarg. Today a bid farewell of Baba Barfani Tour, after breakfast drive to Delhi, here tour ends with happy memories to becherished forever.